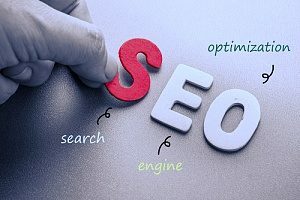 In search engine optimization (SEO), white hat refers to the use of optimized strategies and techniques that follow all search engine rules and policies. White hat SEO is designed to help your website perform better in the search engine results pages (SERPs) without having to resort to unsavory measures such as grey hat and black hat. Learn more about white hat SEO, how it compares to grey hat and black hat, and why Google prefers white hat SEO methods. White hat SEO is the use of non-manipulative practices to obtain keyword rankings and build a steady stream of traffic to your website. Using organic techniques, white hat performs well for search due to high-quality content, easy navigation, and consistent posts that keep traffic coming back. There are numerous components of white hat SEO that can be optimized, such as written content, site architecture, images and video, and meta information. Grey hat SEO lies somewhere between white hat and black hat. Although it is not as safe as white hat SEO, it does not have the stigma that comes with black hat methods. Performing certain grey hat SEO methods may or may not get your website banned from the search engines. 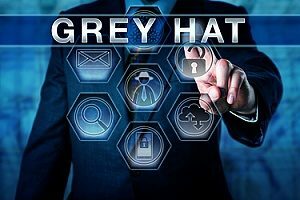 It is important to understand that grey hat techniques change regularly. What is considered a grey hat tactic this year may be black hat next year. It is best to play it safe and stay away from gray hat SEO methods. Black hat SEO refers to actions that search engines find to be deceptive, such as improving your website ranking without adding any value to your visitors. When you engage in any type of black hat SEO practice, you risk getting bumped down in the SERPs. There are a number of things that could be considered black hat, such as doorway pages, content automation, keyword stuffing, sneaky redirects, link schemes, article spinning, and guest posting networks. 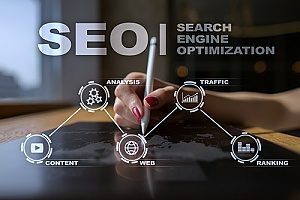 White hat SEO is an excellent way to increase traffic and brand awareness without the risks associated with grey hat and black hat techniques. In fact, white hat SEO is one of the best ways to create a sustainable and successful website and online business. If your business chooses to partake in SEO, you will need to follow Google’s guidelines regarding website design and development. Your website will need to be designed for humans, not search engines. This means that the content should be high quality and not contain too many keywords. White hat SEO may be the best option for your business depending on your long-term goals. If your business deals with more controversial topics, such as payday loans, white hat SEO may not be adequate for what you want to achieve. However, if you have an established and legit business that you want to grow and expand over time, you want to use white hat SEO techniques. Steer clear of black hat SEO methods which are not only very risky but are also far more expensive than ever before. If you have dabbled in any type of search engine optimization tools, then you have probably heard the SEO terms “white hat,” “grey hat,” and “black hat.” While each has its place in the world of SEO, white hat is often the go-to for reputable businesses. White hat SEO focuses on providing content for a human audience, instead of search engine robots. However, that does not mean that the content is not well optimized. While keyword stuffing and other black hat SEO methods are no longer tolerated by Google, there are safe ways to optimize your website. Keyword analysis, link building, back linking, and rewriting meta tags to make them more relevant have all been found useful in boosting traffic and increasing brand awareness. Creating quality content is also paramount if you want your website visitors to return again. Publishing high-quality content shows the search engines that you are a legitimate business. For more information about white hat SEO, contact a professional web marketing agency today.